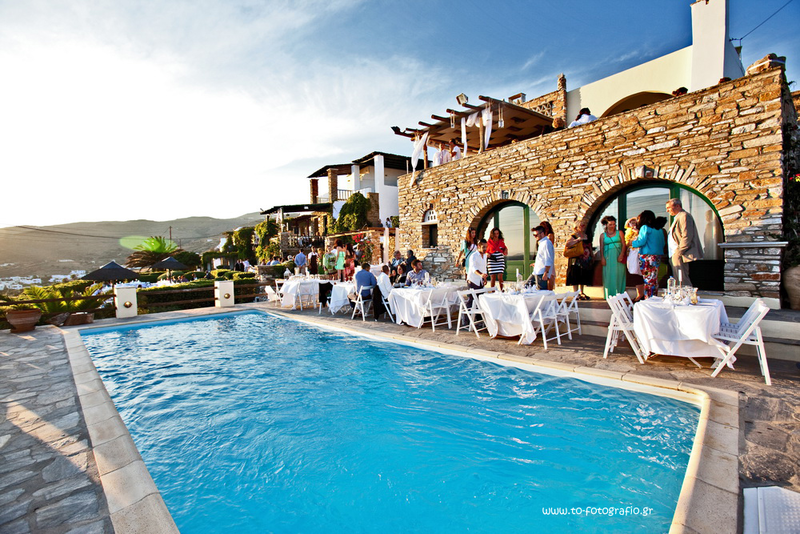 Magnificent traditional Cycladic architecture with stone elements, flowers on the sunlit terraces of the residence, which is built exceptional view on the “big blue” sea! 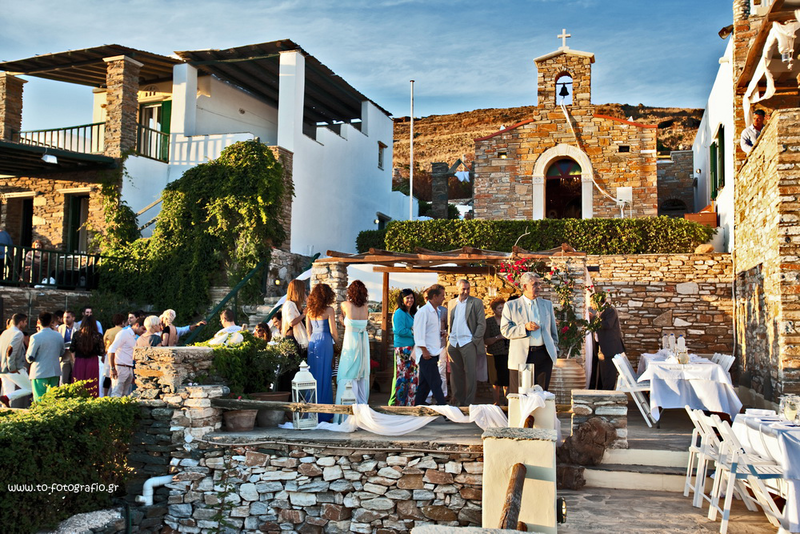 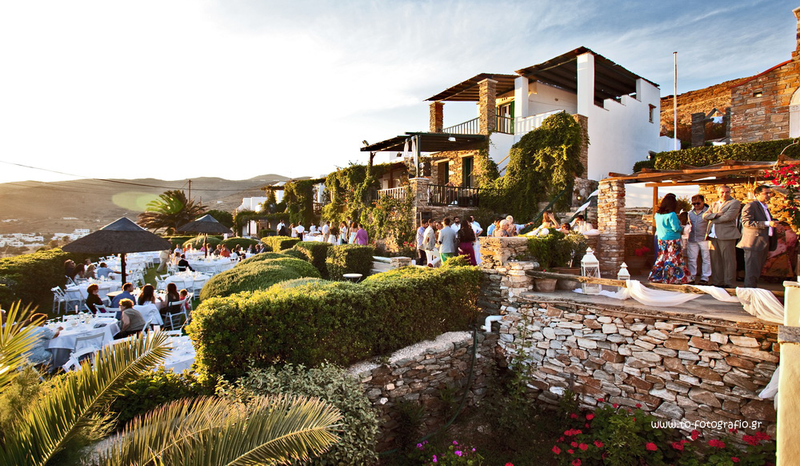 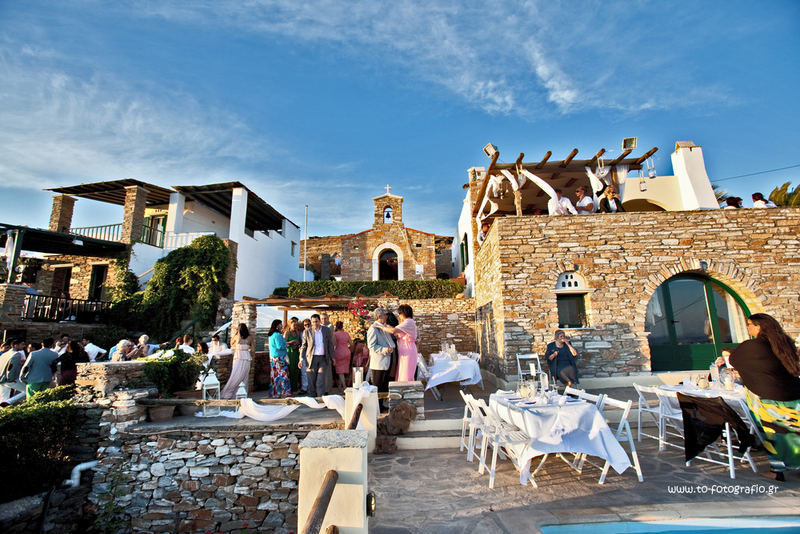 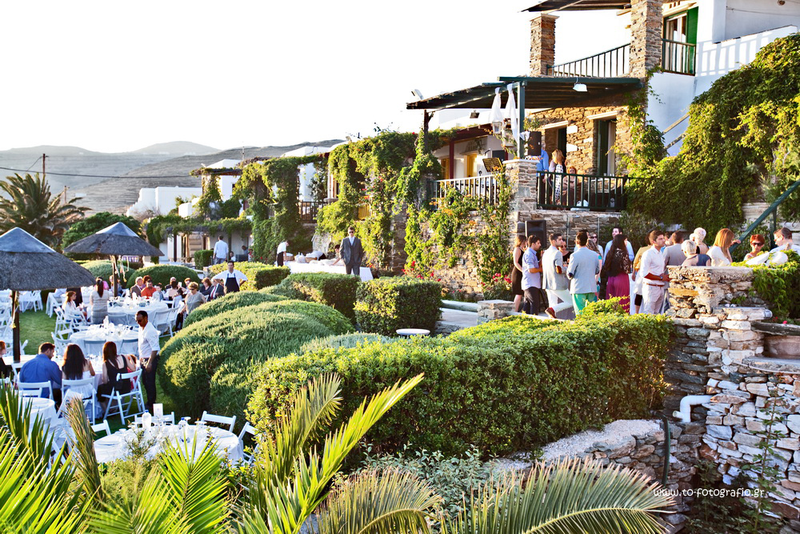 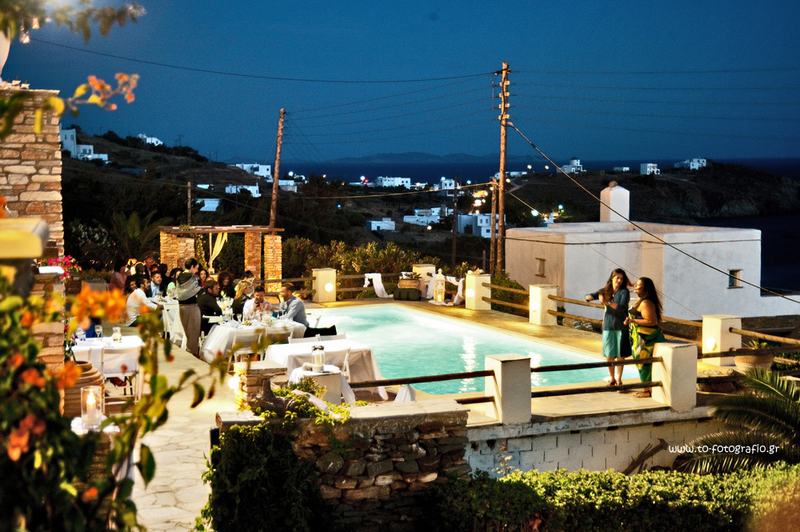 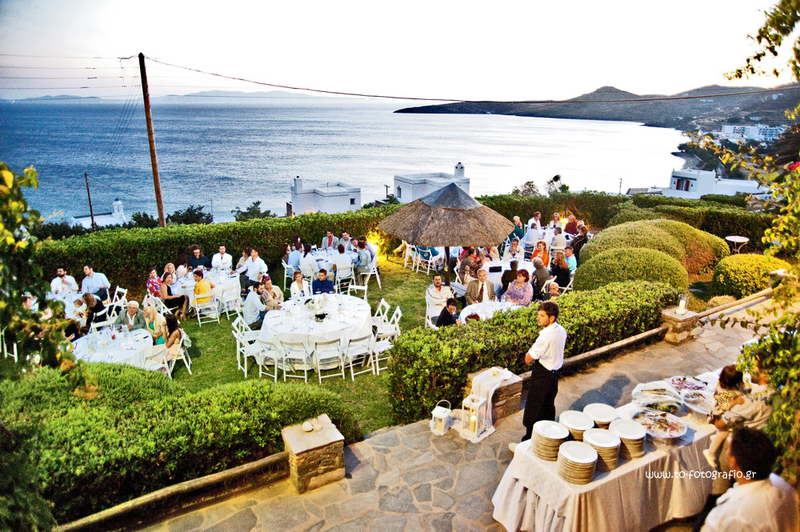 The common area, including the chapel Agios Lazaros, is divided into two levels (a garden and a swimming pool area) and it can host a 220 people reception/event. 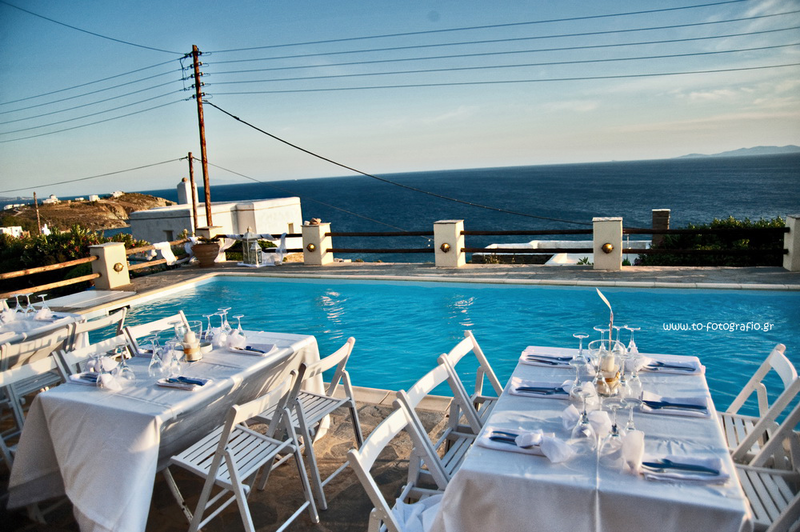 The ideal concept..? 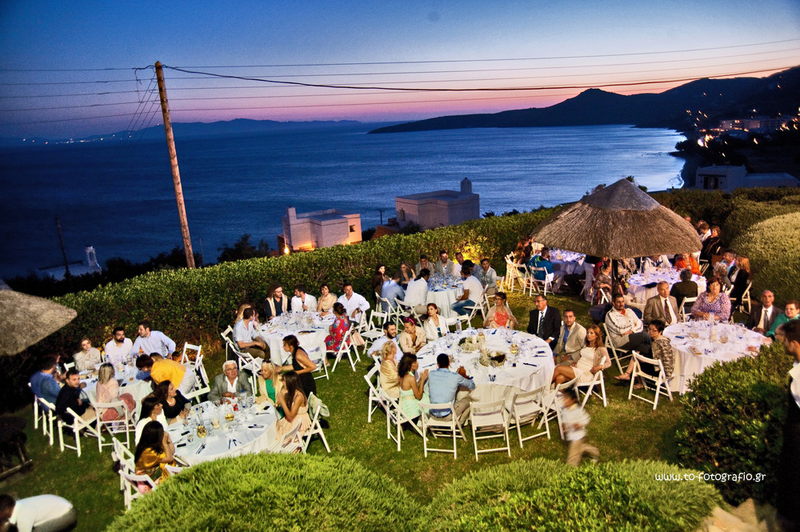 The ceremony will take place at the church of the Holy Cross in the area called Stavros (within only 300m distance), which is famous for the most beautiful view during the sunset.Look here!